If you haven't tried (or even heard of) Linnea's Lights yet, don't dismiss this micro-chandler from the Midwest. 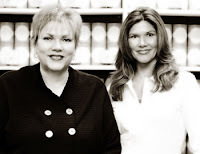 Mother-daughter team Lynn Manley and Laura Cler turned their candle-making hobby into a business based on their passion for fine fragrances and luxury items. The name comes from the Swedish origin of Lynn's name, Linnea, to honor their family lineage. 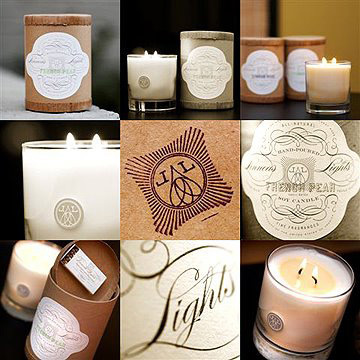 Linnea's Lights is an environmentally mindful company utilizing soy wax, lead-free cotton wicks and recycled or recyclable materials. Refreshing pink grapefruit perfectly balanced with a touch of ginger and oak. This isn't a sweet pink grapefruit. It's more of a clean, zesty white grapefruit with a touch of sugar. It's lovely with its simplicity. Sweetgrass is a soft, fresh blend of fresh cut grass and sweet violets. This is one of the original and top-selling scents by Linnea's Lights. It smells just like soft, baby grass sprinkled with early morning dew. Crisp & fresh leafy greens, stems and herbs blended with sheers woods. This is a great blend of clean clean greens and herbal notes. Timeless, lush & creamy peony blooms, green stems & wildflowers. This is definitely a creamy peony. Not overly heady or watery. Charming and beautiful magnolia blossoms with a hint of southern peach. This is another graceful floral with just a hint of sweetness from the peach. Calming citrus & breezy sea air with lush green florals and sea moss. This is a great ocean blend with lots of character incorporating all aspects of the ocean. Turquoise waters enveloped by the smell of salty air and infused in coastal delicacies. Sea Salt is a relatively new fragrance by Linnea's Lights and is really taking off. This is more simplistic than the Ocean candle, focusing more on the salty aspect of the ocean. This simple nature of this fragrance lends perfectly to blending it with other candles such as Tuberose or Nest Bamboo. Captivating with notes of mandarin and neroli on a creamy base of woods. This is the most complex of all the water/ocean oriented fragrances by Linnea's Lights. It comes across almost like a cologne. If you like a summery scent that is more obscure and mysterious, be sure to give this one a try. Linnea's Lights candles burn evenly and cleanly with double wicks creating an enchanting atmosphere. The candles are wrapped in tissue and come complete with matches in a recyclable tube making them a delightful, earth-friendly gift. If you're one of the many loyal fans of Linnea's Lights, what fragrance of theirs do you enjoy most in the spring and summer months? Post a comment below and let us know!